In the past hiring a personal stylist has been reserved for the "societal elite" (celebrities and multimillionaires), but I'm here to tell you why that idea is gone! Personal Stylists have many different names: Image Consultant, Closet Curator, Style Consultant, Personal Shopper, Style Curator, Image Expert etc. So whether we have a different title or not, we all essentially have the same goal in mind: Help you find your best personal style so you can feel comfortable and confident being you! My undergraduate degree is in Psychology and many of you may wonder how that has anything to do with being a Personal Stylist? Back in March I discussed this topic on a podcast called "What Glass Ceiling” with the hilarious and down to earth Ashley Love . Ashley is a Journalist and marketing genius that recently started a podcast chatting with women entrepreneurs. During my episode spoke about why psychology gives me a one-up in my field! Whether or not you choose to believe that clothes matter is up to you, but the evidence is there that when we look our best, we f e e l our best. Now I am not, by any means, claiming that dressing better can fix things you have going on in your life, but it can give you the motivation and confidence you need to work toward making changes! Many of us get hung up on not having a style that reflects what's on the inside. We don't get a chance to show our true worth because we're perceived by our outward appearance. If we look sloppy we're judged as lazy and uncaring. Like it or not we are a society that judges people based on appearance! You could be the most qualified candidate on paper and walk into an interview without putting any thought into your appearance and most of the time; you're not going to land the job (Sorry!). If this fascinates you or you want to hear more about the Psych behind Styling or what a typical styling session is like with me head to "What Glass Ceiling: The Psychology Behind Your Style". When we think luxury we generally think about extravagance and indulgence and many people believe hiring a stylist is extravagant! It's actually quite smart and I'd even argue an investment! Having your own Personal Stylist has become not only a very tangible option, but it’s often the choice of those who want to make wise financial decisions. By zeroing in on your style, understanding what works best on you, it saves you from making purchases that are wasteful and clutter up your closet. By freeing up time once wasted agonizing over outfit options and wandering the malls you free up time to do things you enjoy or things that can make you more money! So without further ado I give you my top reasons for hiring...well...me! I work within your budget to find pieces you'll love and that you'll actually wear! Stop wasting money on things that are "on trend" just because your favorite celebrity is wearing it. Not everything is going to be right for your body type. I can also tell you where to invest in quality higher end pieces and where to save your money and buy cheap! For example a navy wool blazer will always be in style, but that cold shoulder top will not. Get the blazer at a higher end store and save the cold shoulder top for places like Forever 21. As I mentioned before, whether we like it or not people form opinions of us based on quick interactions. Let me make sure the opinion they form of you is 100% accurate of YOU! I can help you land your dream job by making sure you dress the part! Let your clothes a s s i s t your qualifications! Not everyone LOVES shopping the way I do. If you're someone who doesn't want to be bothered with making time for the mall I can take away that burden! Or if you want someone to shop with to teach you and help you shop efficiently, we can do that to! Have a photoshoot booked for your family and no clue what any of you should wear to look complimentary to the location and cohesive to each other? I can help! Family photos IMO are a necessary investment to brighten our homes' walls and capture our families so we can look back on them for years to come. Don't ruin them with outfits that blend into the background or clash with each other! Of course it helps to make sure to invest in a great photographer as well and one of my favorites whom I happen to work well with is Lauren V Photography and if you're in Hampton Roads and haven't seen her work...go check her out, I may even have a little discount code for my clients in the future! Not everyone can rock every style. Our bodies are each unique and beautiful in their own way; you just have to know how to highlight the positives. This is not an easy, intuitive thing to do, let me teach you what to look for so you can finally appreciate all of yourself! This is the only cleaning I actually find great joy in doing! You guys, there is NOISE e v e r y w h e r e this day and age. So. many. things are contributing to stress in our lives; clutter is a big offender of stress and anxiety. 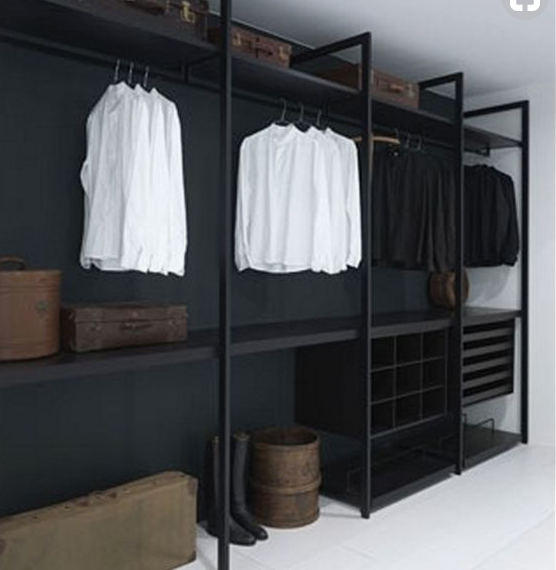 Not just clutter in your home, but clutter in your closet! I can help you decide what stays and what goes, and help you come up with outfits out of what you already have so that your closet isn't negatively affecting your psyche! When you have a perfectly curated wardrobe with purposeful items that inspire and fit you, you will feel better, I promise! It's time to let go of those clothes from high school, let me help you! 6. A SEssion with me will Give you a confidence boost that can radiate to all areas of your life! Often times giving yourself a confidence boost in one area of your life can help jump-start all the others. If I can have you feeling your best in clothes that flatter and also make you feel amazing, that confidence can transfer over to other areas of your life and give you the drive you need to reach your goal weight, land that job, or find a special someone to share your life with! This is largely where the psychology degree comes in! Some of you are holding yourself back from achieving great things, because you don't feel like you're enough or you don't feel like you have what it takes. Let's get you feeling confident in your clothes; I promise I can make you feel like a million bucks! You. are. w o r t h it! 7. let me Take the stress out of big events! Have something particular coming up that sounds like so much fun, but you dread finding the right outfit or dress? I can style you for a specific event! You can hire me JUST for a specific event no strings attached, but I promise you you're gonna want more! I think I've given you enough to chew on, but if that hasn't sold you please feel free to contact me and I'd love to offer a free consult and to tell you more! Whether you hire me or hire someone else, you are worth hiring a stylist. I promise you, you will not regret it!